Going to be painting my 1997 S10 a different color and I'm trying to identify the metallic silver color and color code for the S10 in the picture. 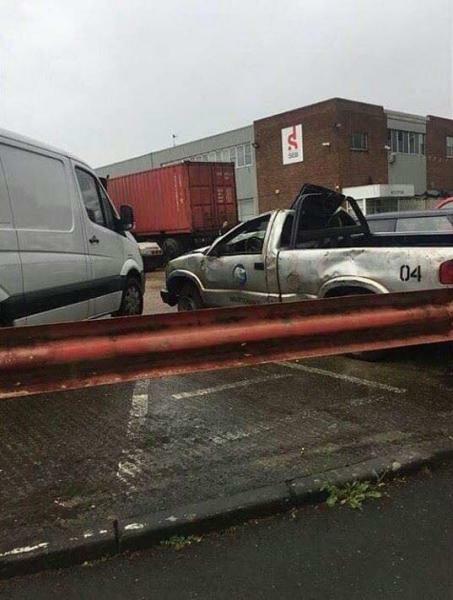 I know truck is wrecked as it was used in production of a movie and the photo isn't the best, but I want to do the exact same color on my S10. Thank you for the help! If you have access to the truck, check the sticker on the glovebox door. Oh man I totally world if I could, but this was pulled from the internet. This S10 was used in Jurassic World: Fallen Kingdom. I wish I had access. So, I need to try and guess the code ahs color from the photo. I'm basically going to covert the exterior of my 1997 to look like the 2001 S10 in the movie. Going to paint it, swap the rear bumper with a fleetside and do a front lights, grill and bumper conversation. Basically transform a 97 into 2001 best I can.